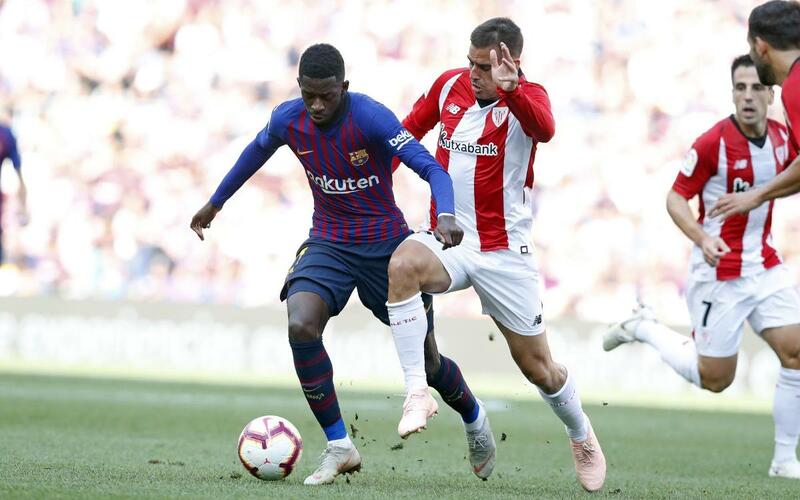 The game between FC Barcelona and Athletic Club ended in a 1-1 at Camp Nou in week 7 of the league. A goal from De Marcos in the first half gave the visitors the lead at half time but an equaliser in the 84th minute from substitute Munir handed Ernesto Valverde's team a point. Barça struck the woodwork twice in the game and came close to taking all three points but it was not to be. Don't miss all the action from the game at Camp Nou!